Both the 7-inch Kindle Fire HD's 1280x800-pixel screen and the 8.9-inch model's 1920x1200-pixel screen are great for watching movies when camping, or travelling outdoors. Besides paying Amazon' ridiculous prices to watch movies and TV shows, you can also transfer your local movies to your Kindle for enjoyment. However, the Jelly Bean tablets are incredibly flexible in terms of media you can put on the device and users have a whole slew of problems when it comes to watching videos on the Kindle Fire HD gadgets. 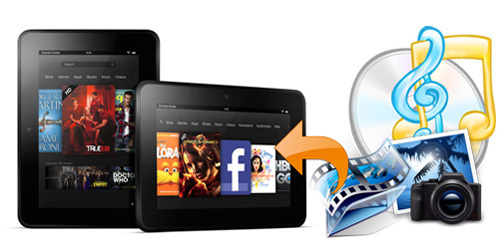 We collect in this column all about video-transfer, movie-playback guide & tips, tools, apps for Kindle Fire HD users, especially movie fans to get better digital media entertainment on the Amazon devices. 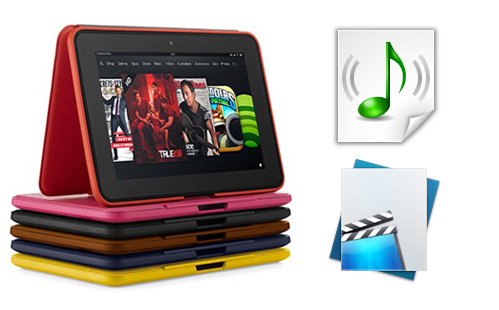 What Formats does Kindle Fire HD support for music and movies? 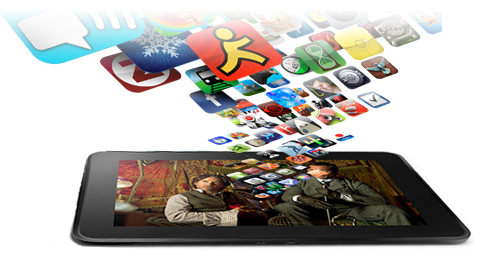 There are several ways for you to transfer and download a variety of content like books, music, video, photo, and documents from a Windows or Mac computer to your Kindle Fire HD. You can choose to access your content through the Cloud while your Kindle Fire HD is connected via Wi-Fi, or to download your content to your device for easy access even when your device isn't connected wirelessly. Notes: Mobipocket and Multimedia files that have Digital Rights Management (DRM) protection applied can't be read on your Kindle Fire. EPUB eBooks are not supported on Kindle. You can rent or purchase movies in standard-definition or high-definition format from Amazon Store and watch them on your Kindle. Of course, most of you are not about to pay Amazon's ridiculous prices to watch movies and TV shows you already own on DVD, Blu-ray and downloaded or purchased from online websites or from iTunes, BBC iPlayer, Blockbuster, Blu-ray/DVD Digital Copies, wbdigitalcopy, etc. Instead, you can get them ported over to the Kindle Fire HD with ease. Along with some help from third-party softwares, it can be done effortlessly. Here's how. 1) Use a high resolution source file. 2) Always convert equal or less in resolution and bitrate, never up. 4) Even lower resolution videos look fine when sampled at high bitrate. 6) The sweet spot: 720p @ 2000~25000 kbps, but avoid black-bars or you can't zoom. PS. If you have any problem when enjoying videos on your Kindle, pls contact with support@pavtube.com / macsupport@pavtube.com to get more information and solutions. You also can leave a message on Pavtube Community or Pavtube Facebook, we will answer your questions as soon as possible. Amazon make it easy for you to access your content on other devices. The books, videos, apps, audiobooks, games, and music that you buy for your Kindle Fire HD can also be enjoyed on Amazon apps for Windows, Mac, Android, iOS, game consoles, TVs and more.